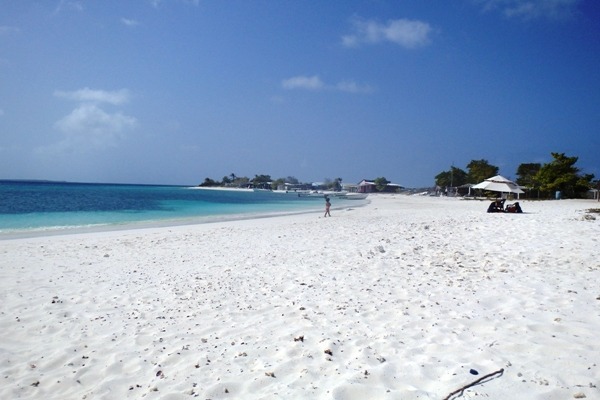 Cayo Pirata is one of the closest to the Gran Roque keys, and also one of the most visited keys of Los Roques. It is connected to Madrisquí Island by a small strip of beach. It has numerous fishing villages, and as is to be expected, the main economic activities are lobster fishing and tourism. The lobster is obtained during certain times of the year, from November to April which is the lobster fishing season. Cayo Pirata is famous for its lobsters, and the fishing is important because it supplies the Venezuelan domestic market. You can find some of the best restaurants in all the islands, here at Cayo Pirata. Their specialty is seafood of course, particularly lobster. Lobster prepared by the locals is a dish not to be missed. Customers get to view the lobsters alive and choose which one they want to eat. Visitors must also try “patacones”, a delicious snack made with fried green bananas Cayo Pirata has several houses, but these belong to fishermen and locals living in the area, although some have been converted into accommodation for tourists. The people are amiable and always willing to provide a good deal. Cayo Pirata is an island of clear turquoise waters and white sandy beaches. Unlike the other keys which require some form of water transportation to get from one key to the other, what separates Cayo Pirata from Madrisquí is just a sandbar that lies between the two keys. So in order to reach Pirata, visitors to Gran Roque can take a boat to Cayo Pirata or go via Madrisquí and walk across the sandy beach that separates the two. Snorkelling and swimming are great activities to be enjoyed in the beautiful waters of the keys. There is also kitesurfing and the often windy conditions make it a delight for enthusiasts.